I received a new update on an engine that we've had little information on until now - the Achates Power opposed piston/opposed cylinder engine. Until this update, there hasn't been much more than that and its proposed capability to reach 100 mpg said about the engine. According to this article, Achates has developed the first engine, which they're calling the A40. It's currently in use in a military vehicle. In addition to this first engine, Achates says that an engine with four cylinders and eight pistons is underway and should be completed in about two months. The engines, which are said to be lighter than a standard diesel engine (what "standard" is they don't say - V6, V8, commercial diesel??) will not be produced by Achates, but licensed to manufacturers and vehicle companies. In an effort to test a few theories on how the side vent should be incorporated into the body of the Rally Fighter, we decided to use the digital body data, fire up the 3D printer and print a section of the body so we could run a few tests. After the part was infiltrated and has now had time to cure, we will modify it and add a few parts to compare with the sketched and digital data we have to confirm design intent and feasibility of manufacture. This is yet another thing that we'd have to outsource and wait days or even weeks for if it wasn't for having the 3D printer right in our own shop. As I've mentioned in the past, this is crucial in times like this since Aurel is out in California at ATG making changes in real time with the team there and needs nearly instant feedback on issues like this to keep moving forward with the most suitable and manufacturable elements for the design of the Rally Fighter. 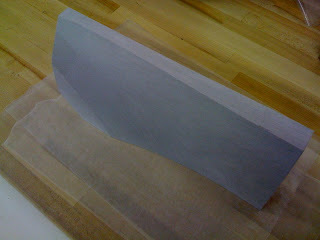 More updates on the body engineering progress to come! At least for the week anyway. This week, Aurel is in California working side by side with the team from ATG (and Ben for a day) to put the finishing touches on the front end, tail lights/rear end and several other details affecting the body engineering of the Rally Fighter. Despite being on a whirlwind tour of several great design schools last week (See Ari's blog recapping the week here), Aurel was back in the home office for a day or two before heading out to the west coast for another challenging, but vital week. There is no arguing that having a designer and surfacer sitting side by side while the changes are being made is the sure-fire way to get things done right and get them done right quickly. Add LM engineering to the mix from email, phone, and video conferencing along with the support of the engineering team at ATG, and you've got all the players involved to ensure that the volley between design and engineering doesn't get caught in the net. We'll have updates on Aurel's work with ATG in the very near future, so keep an eye out on this blog and the Rally Fighter build page. As we are getting closer to the production of the Rally Fighter, it will be critical to test our suspension and chassis stiffness before building the production tooling. 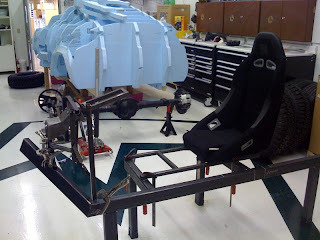 The best way to do this is of course through simulation in the computer where we can quickly and accurately conduct several different tests with a multitude of parameters, then build the chassis and suspension and conduct a limited number of physical tests to confirm our CAD model results. Therefore, I spent the last few days at our Value Added Reseller (VAR) for SolidWorks, R&D Technologies getting some in-depth training on the Simulation package that comes with the seat of SolidWorks we purchased. 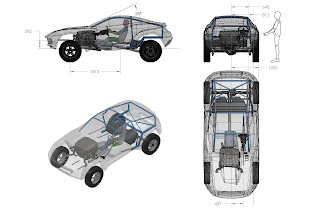 With this powerful tool we can take the chassis design and inside SolidWorks, run simulations to test how it is affected by everything from just sitting at ride height to driving through the rugged desert terrain. No need for any other software, and no converting files. I can even make changes on the fly to the model and update the simulation parameters and run the test. This will prove to be a very powerful tool and I'm very excited to put it to use in the very near future, so check back soon for updates on what results from the Simulation tests! Today we announced the Rally Fighter interior competition. This will probably be one of the best examples of how the way we develop vehicles is different from current practice. It will require our engineers to think like designers and the design community to think like engineers on a more even scale than just about any other competition we've run. Some of the other competitions are more engineering, others are more design, but this one is a very good mix of both worlds. Each of the following will work in a constant push/pull which will be an evenly matched game of tug of war...a war we welcome! Style has to be combined with materials and their cost, availability, feel etc. Existing components (steering wheel, airbags, gauges etc.) have to blend with newly designed, Rally Fighter specific components. Component design and location must not compromise vehicle performance. I look forward to what our community of talented designers develop given the engineering guidelines and inspirational photos we've provided, and I urge everyone now more than ever to contact me with any questions or comments! Over the past few days, my email has been inundated with Google Alerts from the Scuderi Group. If you've been following my blog, or maybe even following Scuderi on your own, you know that they've been gaining speed over the last few months on the development of a prototype for their Split Cycle engine. Well, the time has come for the world to see the first prototype, as announced in this article, just one of many articles I've seen lately. As I've mentioned, it seems like it could be a great alternative engine to the Diesel powerplant we currently have, so I will keep the Alerts alive (and the updates to you as a result) even if they do clog my Inbox!! Here's the latest update from the shop. The Benz pedals and Brake Booster have been added to the assembly with a small section of aluminum in place as a temporary floorboard. 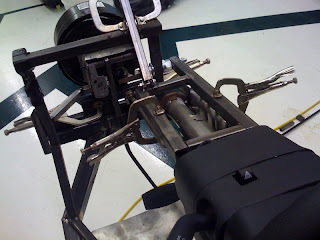 The steering column brackets are on a pivot to allow adjustment of the column assembly as a whole until we can determine the best location/pitch (note the 3/4" square tube pointing to the top of the picture and held in place with a clamp and the large bolt on the lower right-hand side of the column bracket). We will use this adjustment to move the entire column assembly, and at each different location we will also use the built in tilt feature the column has to check its range. This will allow us to accommodate a range of driving positions and ability to move the column for ingress/egress. 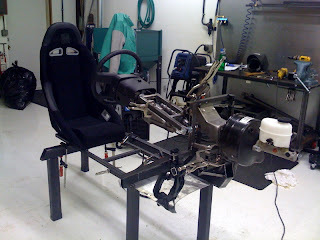 Here's the latest on the cockpit fixture we're using to determine the pedal positions, flooring design, steering column location etc. relative to the H-Point of the Rally Fighter. If you've been following the last few posts, you will see that the fixture now has a seat in place (it isn't the actual seat we'll use, but similar in style to what we may use in production), and the pedals have been removed from the foam mock up and repositioned in the steel fixture. All parts have been located in such a manner that allows them to be adjusted so we can test the mounting locations we've set in the CAD model, and adjust as necessary after we confirm with some simple testing.